Los Angeles-based Spotlight Pictures has boarded international rights to feature animation Sgt. Stubby: An Unlikely Heroand will introduce to Cannes buyers next week. Helena Bonham Carter, Logan Lerman, and Gerard Depardieu feature in the voice cast on the animation from Ireland’s Fun Academy Media Group. Sgt. 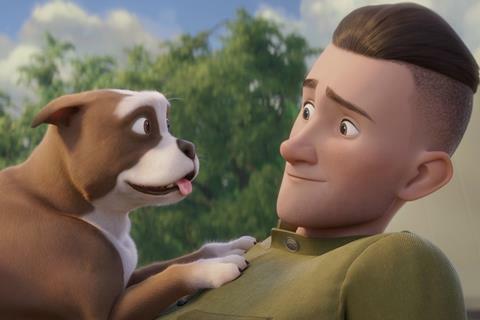 Stubby is currently on a 1,600 screen run in the US and follows the adventures of Stubby, a dog who befriends a soldier in the First World War and is decorated for his courage. Moura negotiated the deal on behalf of Spotlight with Rodon.